Welcome to the blog. 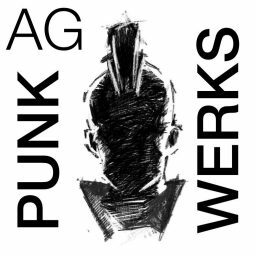 What is PunkWerks, one may ask? Officially this is an offshoot site of Agrapha Productions, but it is not directly related to the VFX content the company provides — it is one of the side effects of a life of art. Those projects and ideas that don’t quite fit in, or never really leaped out. The work of a PUNK. Hence the name. This is a blog, not visual effects. At launch this is expected to be a place where I can share ideas, observations, and generally fascinating art and technology, found or otherwise. It is also a repository for personal projects and research I develop throughout the years. We’ll see if that holds true as this thing hopefully grows. I’ve been at the career of visual effects for 21 years, and a hobbyist for fifteen years prior to that. Across that span of time I started with Makeup FX, miniatures, and cartooning. Along the way painting, drawing, sculpture, photography, programming, 3D art, graphic design, 3D modeling and animation, compositing, stereo VFX, stereo conversion, and pipeline development. I’ve seen a few things, and worked with some great people — I continue to do so. It is time to get this thing started.